New Delhi, June 18, 2012: Air Works India Engineering Pvt Ltd (Air Works), India`s leading provider of Aviation Services, today announced that it has made a strategic investment in Dubai based private aviation specialist, Empire Aviation Group FZCO (EAG). This move will help Air Works increase its footprint in the Middle East and provide world class aircraft management services to its customers in India. Formed in Dubai in 2007, by the existing management team and co-founders of the company - Paras Dhamecha and Steve Hartley - EAG is a one-stop shop for integrated private aviation services offering aircraft sales, aircraft management, aircraft charter, and aircraft finance and insurance. Today, the company has more than 100 staff and operates one of the region`s largest managed fleets of business jets, with 20 aircraft under management, operating out of Dubai International Airport. Commenting on the partnership, EAG co-founder and Executive Director, Paras Dhamecha said:"Since formation in 2007, EAG has successfully built a strong regional aviation business and grown revenues and profit every year. We have also recently been looking at the exciting potential of the Indian aviation market and opened our first branch office there in 2011. So, we warmly welcome this partnership with Air Works - one of the leading companies in India`s rapidly developing private aviation sector - which will help facilitate our entry into India and allow us to exploit more fully the Indian market opportunity by replicating the full portfolio of aviation services for India that we have successfully developed for the Middle East." 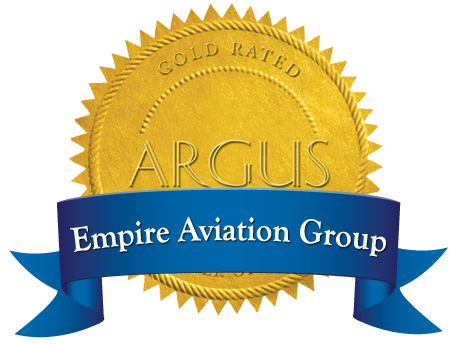 Vivek N Gour, Managing Director, Air Works added: "In continuation of our long term strategy to add significant capabilities to our service portfolio, Air Works is delighted to announce this strategic investment in Empire Aviation Group, which has created a very impressive track record of achievement in its relatively short history. The company has a great business model, a very experienced management team and a strong reputation within the regional and international industry. We are fully confident that by working closely together, Air Works and EAG can build a strong franchise in the emerging aviation markets of India and the Middle East." Steve Hartley, co-founder and Executive Director of EAG, further commented: "This partnership with Air Works will help EAG to broaden our business base and service offering in the Middle East and India - and beyond. The timing is absolutely right as the global aviation sector recovers and this move will help accelerate EAG`s growth and development as a regional and international player in private aviation, which has been our mission since we started the company in Dubai, in 2007. Air Works is the leading aviation specialist in India and will provide market knowledge, experience and resources, so this is a very exciting opportunity for EAG."